It's time to EARN YOUR SPURS! Get ready to Saddle up & Ring in the New Year at Stagecoach! We Thank You for registering for the 12th Annual 2016 Stagecoach Century on Sat, Jan 16, '16, in Ocotillo, CA. All Registered Riders will receive one more Rider Update Email next week, with any final updates and weather forecast info and recommendations. Stagecoach Countdown = 11 Days! 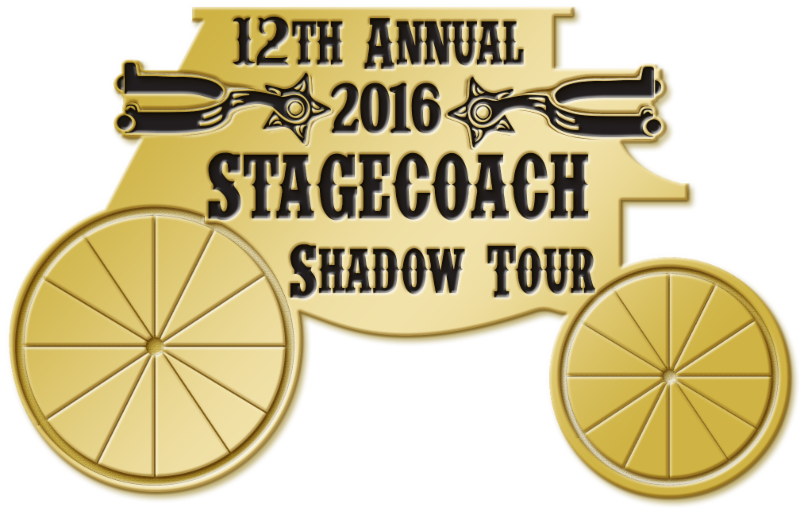 For the 12th Annual Stagecoach, we wish to showcase & reward Volunteers from Ocotillo (Start/Finish) and Shelter Valley (Turnaround point). Below are their special Donation links. Please Donate to support their community projects. To date, online rider donations total $85. Let's change that today! Start Time: On Sat, Jan 16th Time Trial riders (Team and Solo) launch first, from 7:00-7:10 A.M. on tight intervals (less than 30 sec). The rest of the field starts immediately after the last Time Trial rider rolls from 7:10 - 9:00 A.M. Use extra care making the turn onto S2 out of the parking lot. Hampton Inn San Diego - Downtown, located at 1531 Pacific Highway, San Diego, CA 92101 (map it). Free 10-min parking. Riders may register in-person, Cash or Credit Card. Please call Nicole Perry at 619-652-4904 to book rooms at a Stagecoach Special $149 rate, plus tax, based on availability. Offer ends Jan 1st, '16, but may be extended if excess hotel rooms are unbooked. b. Sat, Jan 16, '16: 6:00 - 9:00 A.M. Ocotillo Community Park, 266 West Imperial Hwy, Ocotillo, CA 92259 (map it). Riders may register in-person. Cash or Credit. Portajohns are available onsite. Arrival coffee & breakfast is provided by Ocotillo Volunteers. Donations are much appreciated & support the Desert Museum. Host Hotel: Shadow Tour welcomes the Hampton Inn San Diego-Downtown as the new Host Hotel for the Stagecoach Century. Hampton Inn offers Stagecoach riders special rates, based on availability. Click here for details. Referrals: Please encourage your friends to join you at Stagecoach. You may pass along the special Holiday promocode SPURS15 to new riders (see coupon below). The promocode provides a special 15% discount. Jersey: Voler is once again producing the optional Stagecoach jersey. Riders who ordered jerseys prior to the Nov 22, '15 deadline will receive them at packet pick up. A new process is now in place for riders to order the 2015 Stagecoach jersey directly from Voler, using this link. These jerseys will be mailed within 7 days, with free shipping. A small quantity of jerseys will be for sale at the event. Hampton Inn San Diego-Downtown: We're proud to announce the Host Hotel for the 2015 Stagecoach is the Hampton Inn San Diego-Downtown, located near the airport, with onsite temporary parking for riders to pick up packets on Fri, Jan 15, Noon - 8:00 P.M. Special rates may still be available, based on current room availability. Visit Stagecoach website for more details. Mother Nature provides the biggest challenges at Stagecoach, such as low morning temps, pesky variable winds, low humidity, and possible showers. Bring extra layers of clothing, including shoe toe covers and long finger gloves, just in case! Stay hydrated right from the start by drinking plenty of water & Vitalyte, both are available for resupply at all Rest Stops. And remember, the name of the game is forward progress! Avoid camping out too long at Rest Stops. Rope in your "Last Chance" by registering now for the 12th Annual 2016 STAGECOACH CENTURY on Sat, Jan 16, '16 in Ocotillo, CA. We're pleased to offer a special discount to past Shadow Tour riders and members of the Interest List. Sign up Today & Save! Enter promocode SPURS15 (all caps) when you register online. It's the last step, so be careful not to miss it. Active.com software is case-sensitive. The promocode is also valid for Mail-in and Walk-up Registrations. The discount applies to entry fee only. May not be combined with other offers, and is not retro-active. Deadline for "Last Chance" is 9:00 A.M. PST Jan 16th!